The project helps formerly homeless people to arrive well in an own flat. During a design thinking process including people concerned a DIY kitchen has been developed. The outcome, the Wiener Kuchl, is a symbol for the social realities of many people. Construction manuals and a buddy system facilitate the replication and encourage networking. Formerly homeless people work with experts of design, art mediation, social work, carpentry, graphic design, video, the media. The result of this cooperation is intelligent social design. The Viennese Kitchen is perfectly and comprehensively adapted to the reality of people of small means who move into empty council apartments. All questions have found their answers: access to materials and tools is easy, the actual fitting is flexible and components can easily be replaced. The entire process of development, construction and promotion is innovative; it connects and links the persons concerned with a broad range of social spheres. 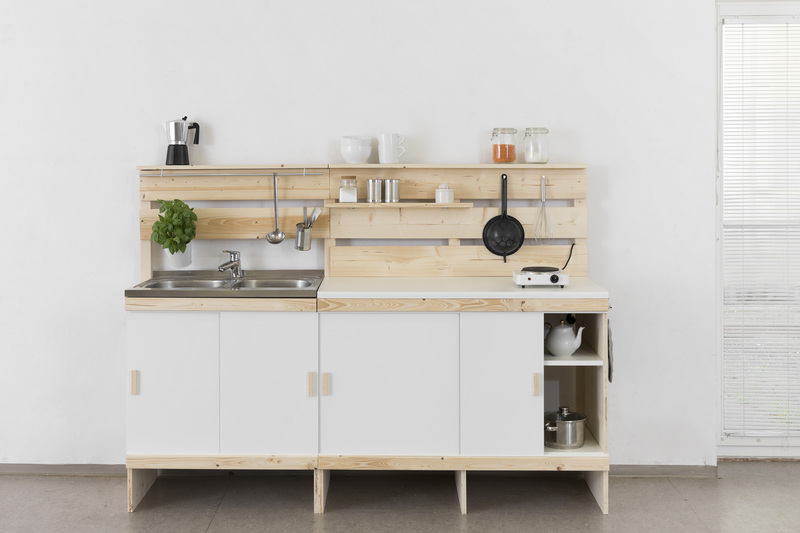 The installation of a kitchen stabilises life and deconstructs social barriers.